It's going to be Monday and I'm hoping that it will fly by quickly. Mondays are always the hardest to get through when you're at work. Hopefully I'll get a little time during my lunch break to take a nice walk and enjoy the outdoors. 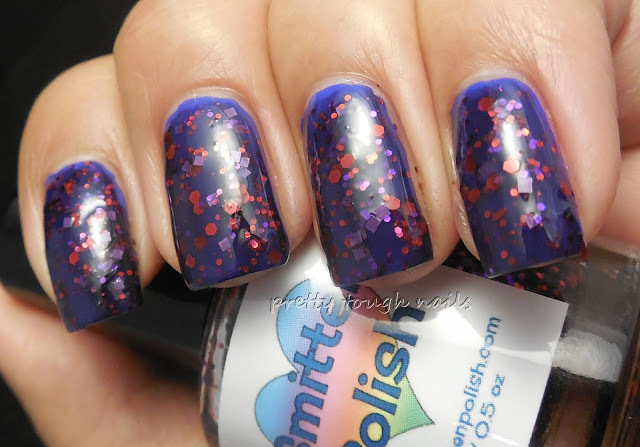 I was in the mood for some purple tonight and pulled out one of my untrieds by Smitten Polish. 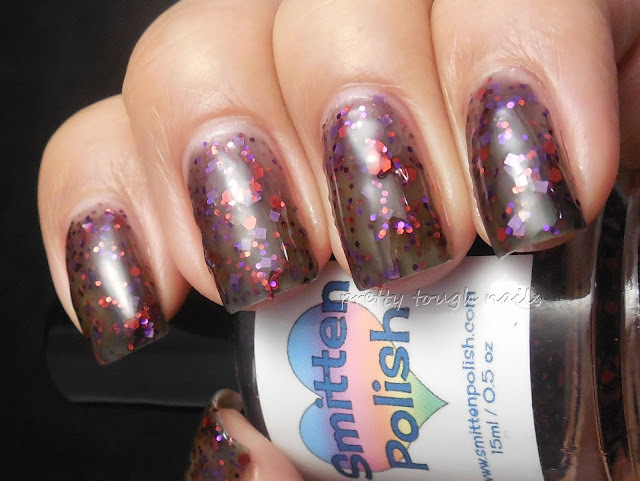 This is Wicked, Tricksy, False, a release from last year's Halloween collection that is now a core polish color. 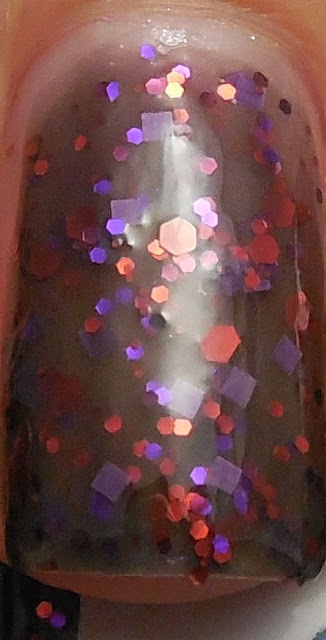 It's a sheer grey jelly with multisized hexes and squares of purple and red suspended within. Formula was slightly thick but workable, and I had no issues with balding or dragging of the glitters. 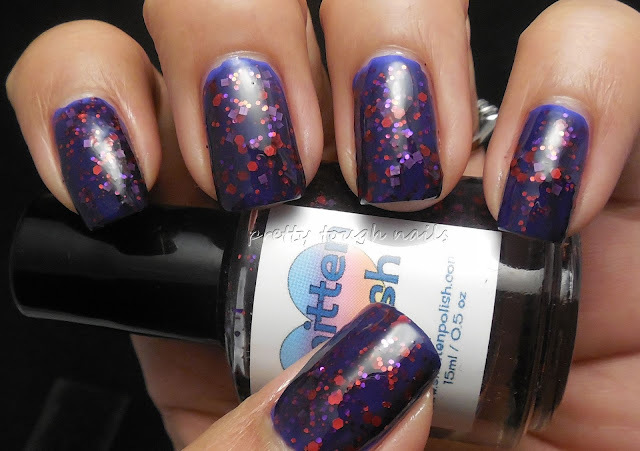 I used three coats in these pics topped with a layer of Essence Gel Look Nails. Hmmm... I wasn't in love with the charcoal jelly base so I decided to layer it over Sinful Colors Shock And Awe, in hopes that it would tone down the brightness of the blurple and give it more of a purple hue. 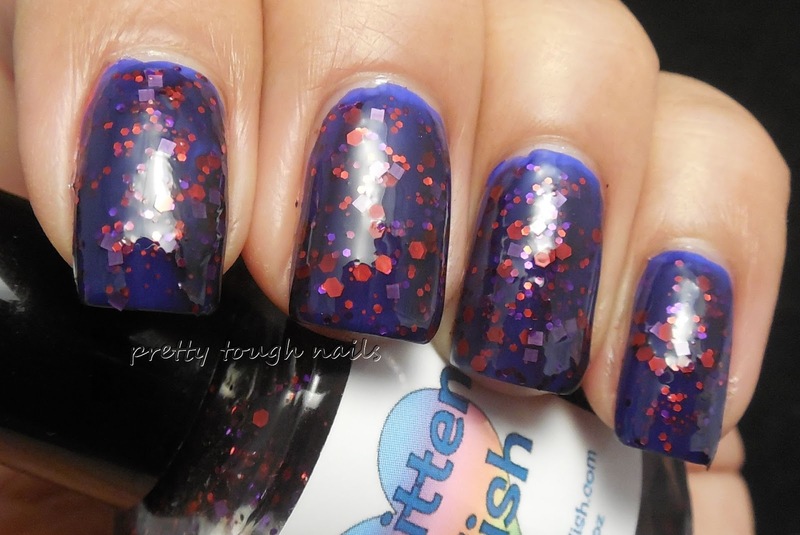 This is two coats of Wicked, Tricksy, False over two coats of Shock And Awe. Yum! 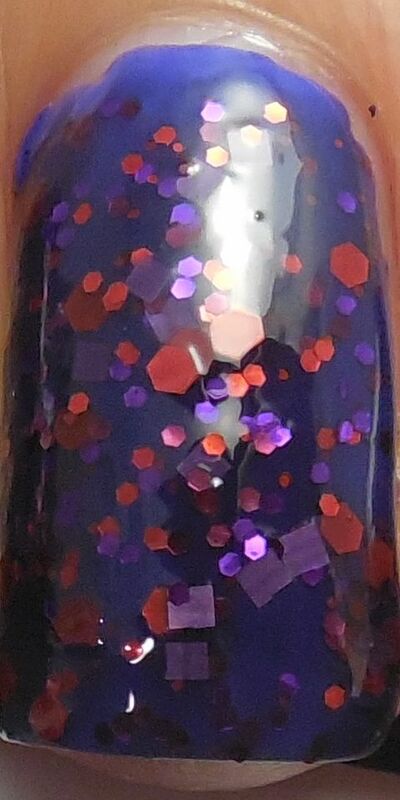 I love that layering combination, Wicked, Tricksy, False totally turns that blurple base into a dark purple and it makes the red glitters pop against the purple. Don't get me wrong, I totally love Wicked, Tricksy, False alone - the charcoal jelly base is a great smokey base for the glitters. 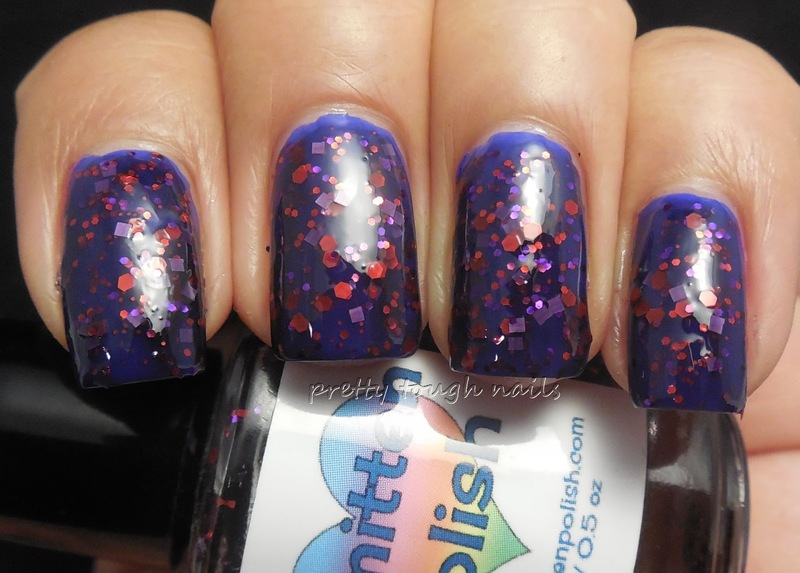 Tonight, however, I really was in the mood for purple and this combination hit the spot. Which way do you like Wicked, Tricksy, False? This is gorgeous! It's definitely going on my Smitten wishlist. I like it layered over purple, but I would love to try it over black too. Ooooh! I should have tried it over black too! I'll do that next time I use it. Thanks for the suggestion!